I'm always surprised by how many concerned comments we get from well meaning strangers when my kids are barefoot in public. Comments like "Be careful, there are sharp rocks out here" or "Ouch, don't the wood chips hurt their feet?" I know these people mean well and are genuinely concerned but their concern is misplaced. Going barefoot has many benefits and wearing shoes too often can actually be damaging. 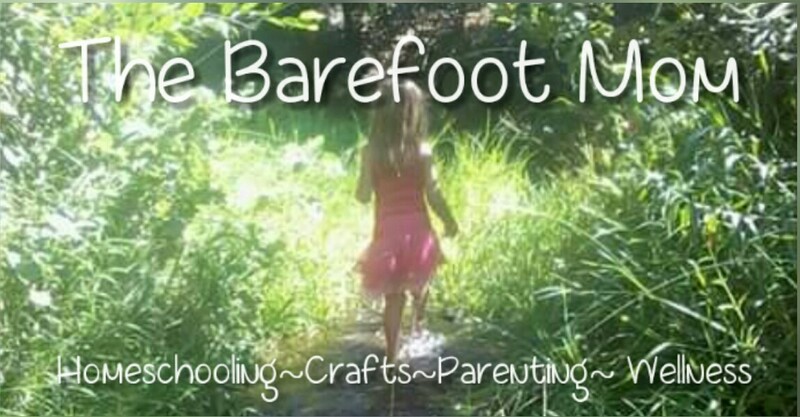 In this post I will share 5 ways going barefoot is beneficial for children (and adults too). Wearing shoes affects the way a person steps. It requires using different sets of muscles differently than walking barefoot. Over time this can affect the development of the foot and leg muscles. Modern shoes are constricting. Over time they can actually change the shape of a person's feet. Shoes can squish the bones of the feet together, affecting toe spread and arch. Flat feet are rare in places where shoes are seldom worn. Toe spread is also much wider in these areas than in their shoe wearing counterparts. Wearing shoe's can cause a narrowing of the feet, not unlike the Chinese practice of foot binding. Essentially, wearing shoes too often, especially while the feet are still growing can literally deform a person's feet. Proprioception is the sense of where your body and it's individual components are in respect to each other and the world around them. There are important feedback loops between the muscles of the feet and lower legs and the brain. These interactions result in important behavoirs like adjusting stride length and foot placement as you walk or run. Shoes can interfere with these feedback loops since they absorb shock and dull sensation. Going barefoot increases body awareness, increasing agility, posture, and balance. There are over 200,000 nerve endings in the soles of our feet, one of the highest concentrations in the body. This is for good reason, increased sensory input allows us to move more carefully and better adapt to the terrain under our feet. Contrary to popular belief, going barefoot does not increase your exposure to dangerous bacteria and fungi. Shoes provide the perfect breeding ground for bacteria and fungi. 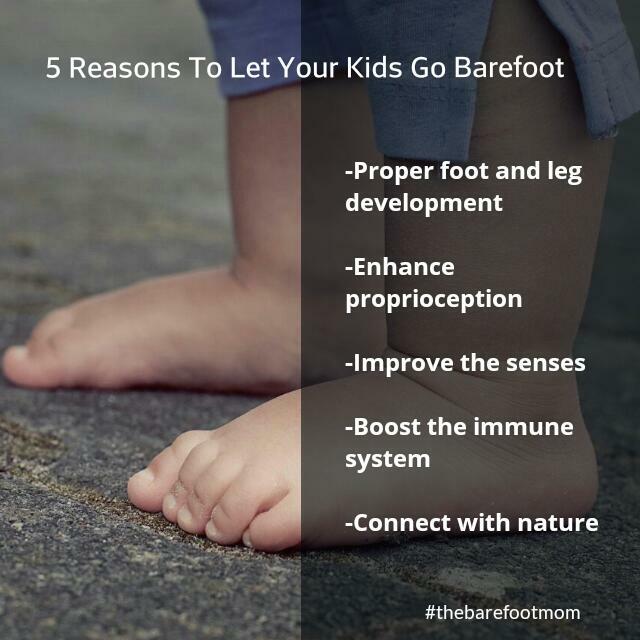 Going barefoot gives your feet plenty of exposure to fresh air which helps inhibit bacterial and fungal growth. Infact, going barefoot may actually boost the immune system. According to a report published in The Journal of Environmental and Public Health, walking barefoot decreases white blood cell count while increasing red blood cell count, indicating a positive immune response. 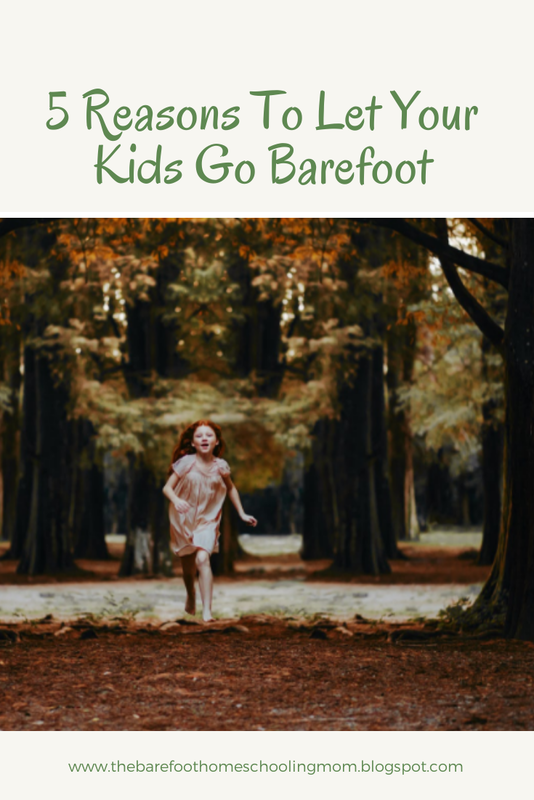 Walking barefoot helps kids connect with nature and develop a respect for the planet. 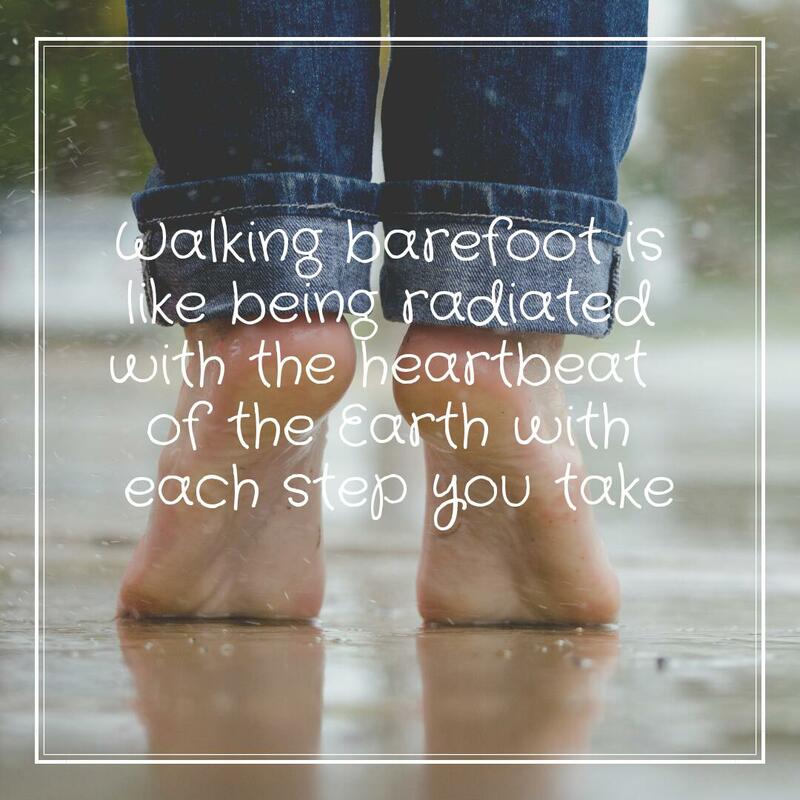 When we walk barefoot our bodies absorb the Earth's free electrons. Free electrons are a well established antioxidant that help neutralize damaging free radicals, thus reducing inflammation. When we walk barefoot we literally absorb the Earth's energy. It can help stabilize circadian rhythms, reduce stress, and increase energy. It's really pretty amazing! Interesting article! I always enjoy walking in bare feet especially in the summer on the cool grass. My grandson love it too! So good to know that it does not only feel good, but is so beneficial! My girls and I often go barefoot. Mountain Goat (17 mths) especially loves having her feet free. Aside from your last point, all if the benefits you mention are backed by science, and anecdotally, I'd have to agree! Love this! 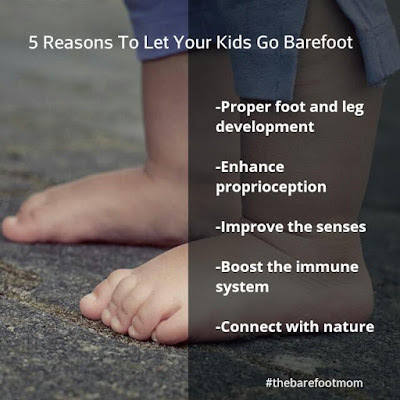 Except in stores my kids are always barefoot. I hear all the time that my kids should have shoes on but clearly I don't listen! Seems like one of those thing people feel like they just have to comment on lol. These are all great reasons! I remember as a child crying because the babysitter wouldn't let me be barefoot (even in the house.) My kids and I are often barefoot in the summer, but our winters are too cold! We don't do much barefoot time outdoors in winter either, too cold, but we spend a good deal of the rest of the year barefoot. 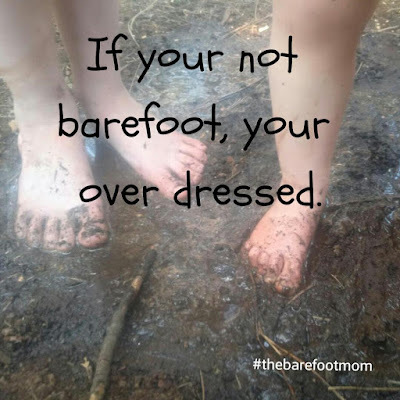 We're a barefoot family, except for my husband. He used to fuss at us all to put our shoes on -- but he's given up. Ha, ha! I'll have to let him read this article and show him that science backs me up on this one. My husband isn't much of a barefooter either, but I have got him going barefoot more often than he used to. We really need to do this more often. I grew up in the country and rarely wore shoes. We are in the city now and my son rarely goes without shoes and he has flat feet...maybe that is why? We’re definitely a shoeless household. The only time we wear shoes is when we’re absolutely have to leave the house. Great to hear! Life is better barefoot! So much emphasis is put on early literacy these days. Many school districts expect children to be reading by the end (or sometimes even the beginning) of kindergarten. While there is certainly nothing wrong with a child learning to read early, not all kids are developmentally ready to read at age 5, and that's okay. In this post I share several reasons why learning to read isn't a race. Kids all develop at their own pace. We know this when it comes to learning to walk, or climbing the jungle gym, or being ready for slumber parties, but it is often over looked when it comes to learning to read. Not all kids are developmentally there at the same age. Pushing kids to read before they're ready can cause a lot of frustration and resentment. It can destroy a child's chance to develop a love for reading by turning it into a frustrating chore. We did a fun unit on soil last year and our big culminating project was setting up our own backyard compost bin. It ended up being much more simple to do than I originally thought it would be. In fact it's so simple, everyone should consider starting one! It's a great way to reduce your household waste, teach kids about soil and composting, and you end up with some excellent soil for your garden out of the process. The first thing you need to do is pick a place for your bin. The best location will get a few hours of sun a day (the heat will help speed up the composting process) but not too much sun because you want your compost to stay moist. You also want to pick a spot somewhat close to the house so adding kitchen scraps is easy. At the end of each school year, I sit down with my daughter to discuss what topics she most wants to learn about the next year. One of her science topics she picked to study this year was the human body. Instead of ordering a boxed curriculum set, I decided to put together my own human body unit. In this 3 part series I will share some of the activities and resources we used for each of the body systems starting with the skeletal and muscular systems. Our skeletons are the frame of our body. They give us structure, without them our bodies would be limp like noodles. They also provide places for muscles to attach so our bodies can move. This is a simple experiment you can do to explore why calcium is important for our bones. Let your child examine a clean chicken bone. Note how hard it is. Sight words are words that you recognize by sight instead of sounding them out phonetically. Most of us do the vast majority of our reading by sight. When your reading a book you aren't sounding out words as you go, your reading by sight. You recognize the words because you've seen them many times before. The Dolche List is a list of the 315 most commonly used words in the English language. About 80% of the words in children's literature and 50% of the words in adult literature are compromised of these 315 words. Once a child has mastered these words, reading becomes much easier. In this post I'll share some of my favorite fun hands on sight word games and activities.